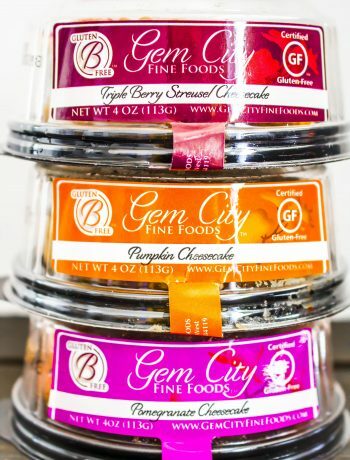 Do you love tasting new gluten free foods without breaking the bank? (hey, me too!) 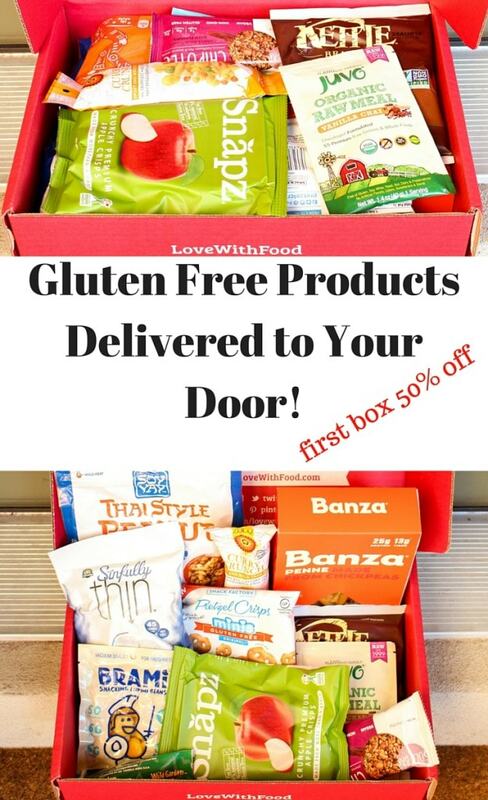 You can get a box packed with gluten free foods delivered straight to your door every month through Love With Food, and your first box is 50% off with free shipping! 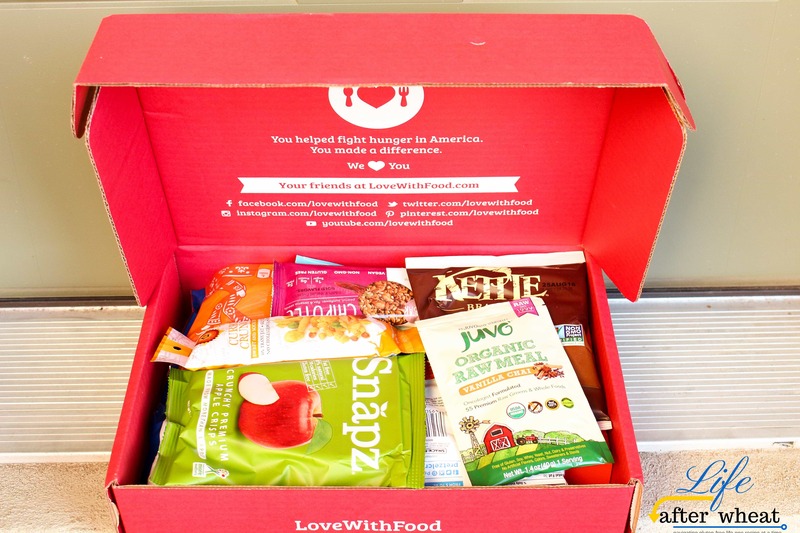 I received this subscription box free of charge from Love with Food. All opinions are my own (yep, I really love trying new gluten free food!). 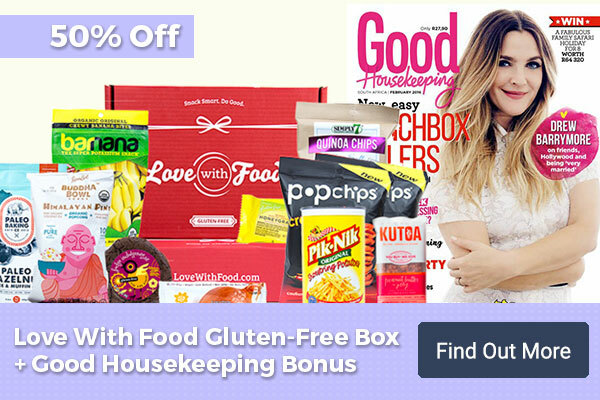 If you purchase a subscription through my link, I will receive a small compensation at no extra cost to you, and you will get 50% off your first box: win/win! Thank you for supporting Life After Wheat so I can bring you more amazing recipes and content! I’m taking a break from my regular recipe posting because I’m excited to tell you about a fun gluten free product! As you can see from the disclaimer above, I received it for free as a blogger but that doesn’t (ever) influence my opinions. 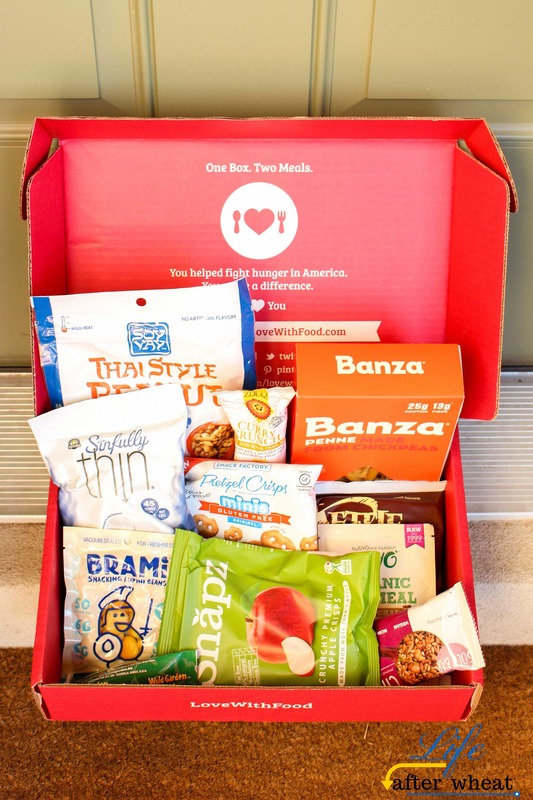 We’ve tried the Love with Food subscription box a few times and it isÂ so much fun!Â I love getting packages, especially if they’re food ðŸ˜‰ There is always at least one full size product, and you can see in the picture below that it is a box of Banza chickpea pasta this month. There’s also a fun sauce from Saffron Road hidden in there and the big package of Thai Style Peanut Clusters.Â I am SO excited to try the Banza pastaÂ because we’re trying to eat healthier and I’ve heard a lot of people love it. Inside the Love with Food box IÂ always find products I haven’t seen in stores and wouldn’t have tried otherwise, which I love! Sometimes we find a new favorite in our Love with Food box and then are able to order it online or find stores that carry it to order later. 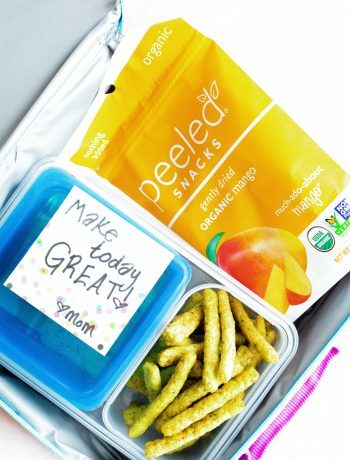 The little package of hummus was a favorite of ours this month, so handy for packing in lunches or for snacks without needing to keep it cold. For every box sold, Love with Food donates a meal to a food bank. Love that! The box is packed with healthier options than you would find in some other boxes. I always feel good about snacking on what’s in the Love with Food box.